Eating fruits and vegetables when they are at the peak of their growing season allows you to get the best that produce has to offer! Natures timing allows for variety in your meals and ensures you are getting the most nutrients from your produce. Eating in season also supports sustainability efforts in your community by lowering the emissions it takes to transport good across the country. 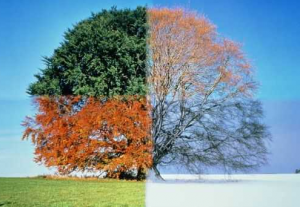 Buying abundant foods in season also saves the consumer money! Getting fresher,tastier produce at a lesser cost all while helping the community and environment is a win -win! Farmers markets in your area are a good place to start when looking for local in season foods. Epicurious also has an interactive map of the 50 states and what foods are in season by month. You can also find links to recipes that utilize the in season goodies. What are you favorite seasonal foods? For years people have known that there are benefits to following a vegetarian lifestyle. But how many people actually are vegetarian or vegan? 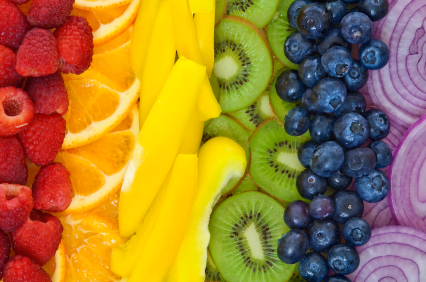 Purchase frozen vegetables & fruit – they last longer and are just as nutritious, if not more so. Add a handful of frozen berries to your whole grain cereal. Try oatmeal with frozen berries stirred in. Stuff your omelet with low-fat shredded cheese, tomatoes and spinach. Snack on baby carrots and hummus, which gives you both vegetables and beans! Eat low-sodium bean or lentil soup for lunch. It’s quick, convenient, and it counts as a serving of beans and/or vegetables. Explore different ways to use canned beans. Make your next slice a veggie one! Stuff a baked potato with diced tomatoes, green and red peppers, onions, broccoli and low-fat cheese. Add a few leaves of kale, chard, mustard greens, collard greens, dandelion greens, or any other green leafy food to your next salad. Vary your veggies! The more color and variety, the better. There are some deficiencies that vegans and vegetarians may experience. B12 is at the top of the list. B12 comes predominantly from animal products. If you eliminate all animal foods from your diet you risk deficiency and would benefit from taking a supplement. Vegan sources of B12 can be found in brewers yeast and nori. If you are a ovo-lacto vegetarian (look here for more details), then you can get B12 by consuming eggs, milk, cheese or yog urt each day. Iron can also be deficient in vegetarians due to the fact that the main source of iron in Americans diets comes from red meat. Some vegetarian sources of iron include tofu, lentils, swiss chard, lima beans, potato, wheat germ, pinto beans, kidney beans, dandelion greens, kale, pumpkin seeds, black beans, spinach, broccoli, almonds, pumpkin, beet greens, brewers yeast, quinoa, figs, raisins, prunes and green beans. Omega 3 fatty acids Zinc and Calcium may also be deficient. If you have been following a vegetarian or vegan diet be sure to check with you doctor to make sure you are getting adequate amounts of these essential nutrients. Pork. It’s What’s for Dinner. Or is it The Other White Meat? Now the slogan is actually Be Inspired according to their website http://www.porkbeinspired.com/Index.aspx. Not sure when that happened. For the healthiest pork options, choose lean cuts such as tenderloin, loin chops and sirloin roast. Bacon and other fatty cuts are very high in artery-clogging saturated fat and cholesterol and not for everyday eating. Baked ham and lunch meats fall somewhere in the middle when it comes to fat and calories. Enjoy one of our pork selections today at Prospect Dining Hall! This is a relatively new term to describe people who eat mostly vegetarian diets, but do not avoid meat and other animal products at all times. A person who does not eat meat or other animals except fish and maybe other seafood. 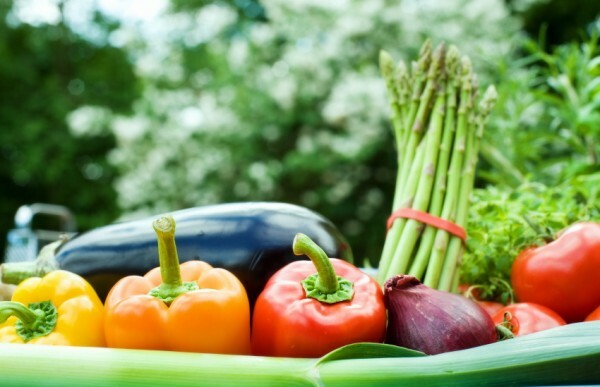 This diet is sometimes used as a way to transition into a full fledged vegetarian diet. Vegetarians are people who do not eat beef, pork, poultry, fish, or shellfish but do eat eggs and dairy products (lacto-ovo vegatarians). Lacto-vegetarians are vegetarians who do not eat eggs, but do eat dairy products. 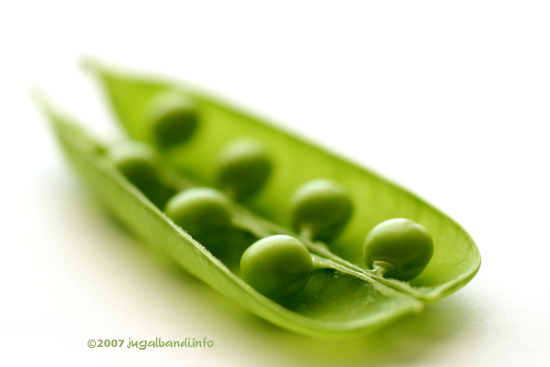 Ovo-vegetarians are people who do not eat meat or dairy products but do eat eggs. Vegans eat no meat, animal products or products containing any animal-derived ingredients such as honey or gelatin. Some vegans choose not to use other manufactured products that come from animals such as leather, sponges or wool. At Prospect Dining Hall, we offer daily vegetarian and vegan items. Look here for a complete listing: http://www.plymouth.edu/dining/nutrition/vegan/. We also have a vegetarian station that offers daily lunch and dinner specials. And as always, our on campus Registered Dietitian is here to answer individual questions and concerns. Contact Sara Patterson at spatterson3@plymouth.edu or 603-535-3186. Posted in Uncategorized | Comments Off on Vegetarian at College…Now What? More than 75% of our calories come from bread, pasta and animal protein! Minimal nutrition is coming from fresh fruits and vegetables. Many cancer preventing antioxidants have been found in fruits and vegetables, but typical Americans are not consuming enough to see these benefits. 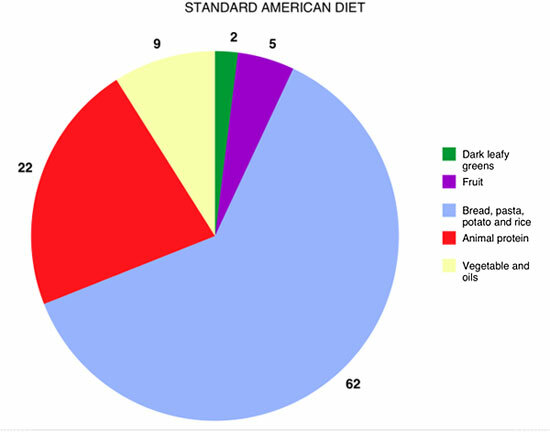 How does your diet compare? What can you do to eat more fruits and vegetables? Think Meat Substitute Nuggets are a Healthy Choice? According to an article on huffingtonpost.com, it’s best to limit the list of ingredients in the foods you choose to eat. Registered dietitians agree. 5 is a good number when looking at ingredient labels. More than that and it’s oftentimes preservatives, chemicals and additives. 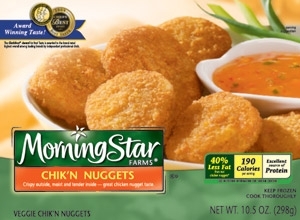 Take these MorningStar Chik’n Nuggets which clock in with a total of……59 ingredients! The more natural your food, the better! How do you feel about meat substitutes?